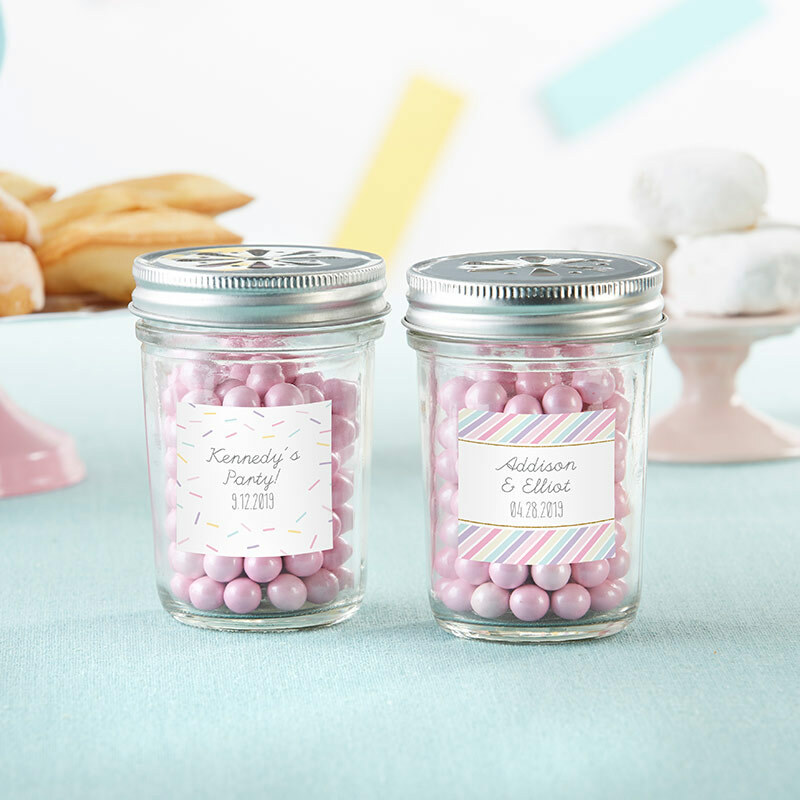 Our So Sweet Personalized Glass Mason Jar favors are the perfect complement to your So Sweet baby shower, birthday or bridal shower décor. 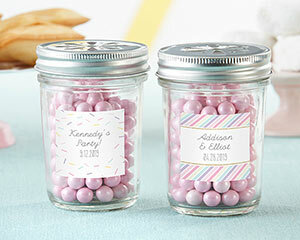 As part of a collection featuring ice cream and macarons, these mason jars are accented with your choice of a multi-colored sprinkle-style sticker design or a pastel rainbow stripe sticker design and are ideal for serving signature drinks, holding delicious treats or as a unique option for centerpieces. Sticker Designs: Sprinkle design featuring pink, silver, turquoise, fuschia and more accents; Diagonal stripes featuring pink, turquoise, light blue, silver, fuschia and more color accents.